Money Heist (La Casa de Papel) narrates the story of a group of robbers that assault the Fabrica de Moneda y Timbre (Royal Mint) to carry out the most perfect robbery in the history of Spain and take home 2,400 million euros. The robbers wear peculiar Dali masks and gave them to the hostages too, so the police can not identify who is who. There are 8 robbers and tens of hostages, yet they are all seen wearing the same outfit. Which makes this costume particularly interesting. 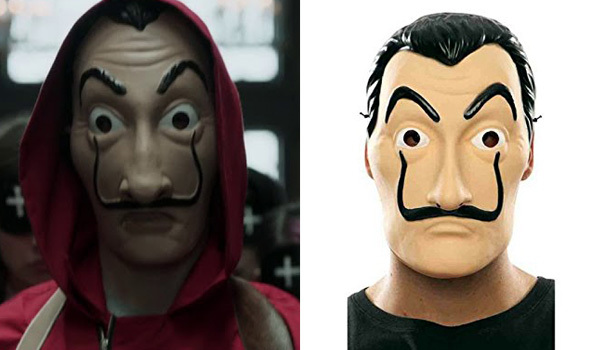 The mask that the robbers and hostages wear in La Casa de Papel (or Money Heist) is a plastic mask of the paintor Salvador Dali and his typical mustache. The mask is now available on Amazon. 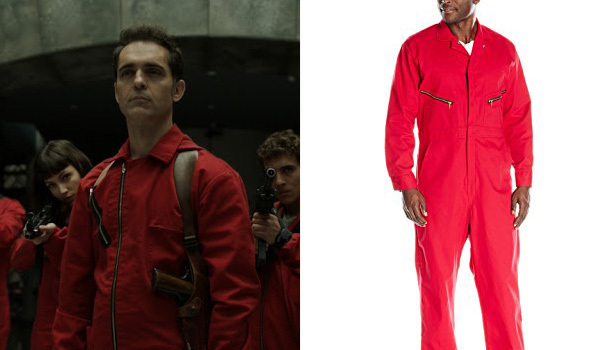 The suit that the robbers and hostages wear in La Casa de Papel (or Money Heist) are a red zip-front coverall. The Red Kap Men's Cotton Coverall is a pretty close match, you'll just have to add a red hood if you want to perfect the look. The shoes that the robbers and hostages wear in La Casa de Papel (or Money Heist) are black combat boots. 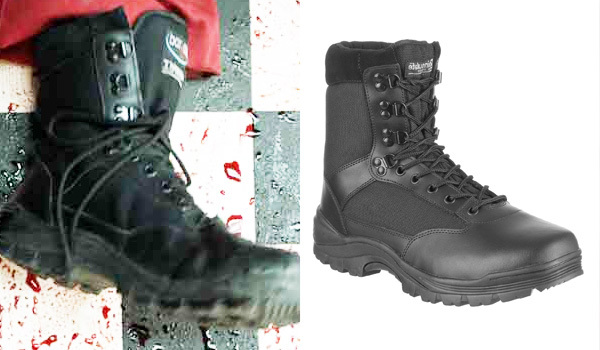 They are very similar to the Mil-Tec SWAT boots if not identical (may be the same mnufacturer). Thank you for this interesting post! I got the mask & shoes, and I hope that you/someone will figure out where the _exact_ overalls are being sold.